The world’s electric vehicles will grow from 3 million to 125 million by the year 2030, according to the International Energy Agency. When you think about the electric vehicle revolution, you probably think of personal vehicles. However, the e-bus revolution is equally important for the green future of our transport system. Many of the biggest problems in our urban space, such as congestion, poor air quality, and greenhouse gas emissions can be reduced by switching to e transit. In this article, we’ll tell you everything you need to know about the rise of the electric bus and e transit. All aboard the e-bus – Let’s go! There are several reasons why we need to change our transport system, and the broader economy, in Australia and around the world. Let’s consider some of the most important reasons together. The United Nations (UN) says that climate change is the “challenge of our generation“. We have to reduce greenhouse gas emissions to prevent the worse consequences of global warming. What is the biggest cause of greenhouse gas emissions? The burning of fossil fuels is the single greatest source of emissions, such as coal, oil, and gas. Much of the energy produced via fossil fuels is directed toward the world’s transport sector. In Australia, transport contributes around 15% of the total greenhouse gas emissions. However, this figure is significantly higher in other countries around the world. Concerningly, Australia continues to break records for higher greenhouse gas emissions each year. Other countries are making progress toward sustainability, and yet it appears that Australia is falling behind. If you want to find out more about Australia should do to fight climate change, check out this article. Air pollution is destroying our health, according to the World Health Organisation (WHO). This is especially the case with diesel engines, which produce particulate matter (PM). This substance is extremely harmful to human health. What’s the biggest cause of air pollution around in urban areas? Of course, it’s the exhaust fumes produced by cars and other vehicles on our roads. According to researchers, over 3,000 premature deaths in Australia are as a result of urban air pollution. Some of the biggest cities in the country are particularly polluted, such as Brisbane, Sydney, and Melbourne. You probably only started hearing about e-vehicles over the past few years. However, did you know that e-vehicles were invented over 100 years ago? It’s not possible to say the exact date or country in which the e-vehicle was invented. Instead, there are several important breakthroughs around the world. The origins can be traced back to the Netherlands, the U.S., and Hungary in which inventors started to experiment with battery-powered vehicles. And yet, back in 1900, over a third of vehicles on the road in the U.S. were powered by electricity. 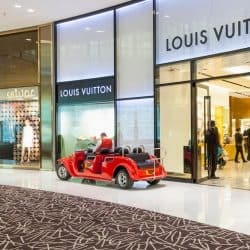 However, the rise was cut short by the widespread growth of the motor vehicle which became the most popular form of transport in the 20th century, especially among the middle-classes. Back in the early 20th century, the performance of battery-powered vehicles was so dependent on the climate and weather; they were unreliable. Nowadays, electric buses can run for up to 200km after a single charge, making them ideal for urban environments. Let’s list some of the top advantages and reasons why people want to see more e-buses in our cities. As we already established, air pollution generated from diesel and gas vehicles (the choice of fuel from old buses) has become a health crisis around the world. 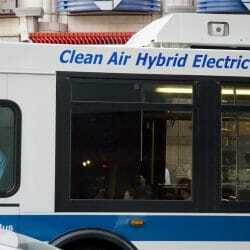 Air pollution is especially a problem with diesel-powered buses. Buses travel around the urban environment at a slow speed throughout the day making them particularly high pollutants. By switching to e-transit vehicles, cities can significantly reduce the problem of air pollution which plague many places in Australia. Nowadays, every city is a brand in itself. People don’t want to visit or live in a city which is famous for air pollution and a poor environmental record. Instead, people want to be able to spend time in cities famous for their green credentials. If city governments want to make a real difference in people’s lives, switching to e-transit is a great way to achieve this. We all know that the price of gasoline fluctuates all the time. Usually, this depends on geopolitics. However, electrical-powered vehicles are not subject to the same changes. By switching to e-transit, you’re safer from oil price hikes which can put a hole in the transport budget. The savings of e-transit are also even greater because buses are used over four times as much as the average personal vehicle. In addition to the price of fuel, you also make savings from the lower maintenance costs. In contrast to internal combustion engines, e-vehicles have fewer parts. As a result, the probability of problems occurring with your e-buses is reduced substantially. 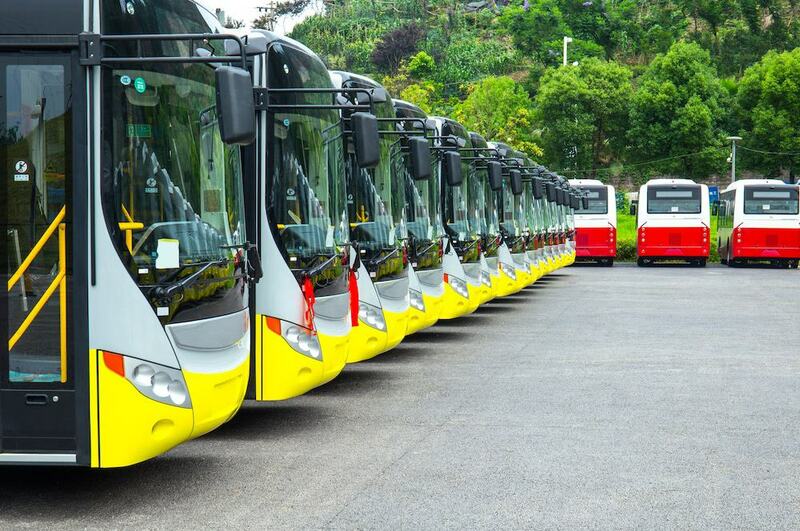 Moreover, the costs of operating and maintaining your fleet of buses are lower too. Financially this makes it a no-brainer for cities. Until recently, many people have been put off e-buses because of the upfront investment costs of dumping older buses for new electric ones. However, just as China did with solar panels, the investments in e-buses have seen the price tumble down recently. Therefore, the excuse that it’s costly no longer holds water. While air pollution may be a bigger problem, noise pollution is also an issue for many urban centres. There are laws and regulations to control noise pollution in Australia’s cities. And yet, you can’t escape the fact that combustion engines are very noisy. 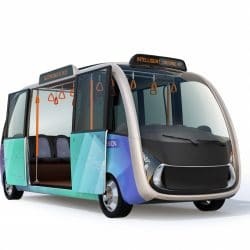 By contrast, electric buses are nearly silent improving the experience both for the passengers on-board and the pedestrians and other street users. Other benefits of e-buses include the fact that they’re closer to the ground and more spacious. Imagine getting on a larger bus which glides silents along the road. Wouldn’t it be better than the noisy chunky buses we have today? Now we know about why e-buses are so great for our urban environments, let’s check out who’s leading the way. China gets a bad rap for urban air pollution and greenhouse gas emissions. However, it’s essential to also know about the recent developments in Chinese cities which are making the Asian economy into a leader in electric vehicles. Since 1980, Shenzhen has grown from a city with a population of 30,000 people to one with over 12 million. This rapid expansion has come with extremely damaging air pollution driven by diesel engines. Shenzhen’s bus transit system was only 0.5 per cent of the vehicles on the roads in the city; however, they represented more than 20 per cent of the total pollution. So, Shenzhen electrified over 16,000 buses over a matter of a few years. How was this achieved? 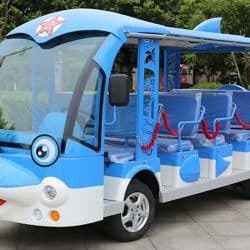 Through massive government subsidies and political willpower, Shenzhen in Southern China is the first city in the world with an electrified bus fleet. Los Angeles, U.S. is another city making electrical waves with their bus fleet. L.A. has the second-largest bus fleet in the country. They have promised to electrify by the year 2030. This target may not be as ambitious as Shenzhen, or other Chinese cities, but it’s still impressive. They have already ordered over 95 new battery-electric buses (BEBs) with the option to purchase many more down the line. Mayor Eric Garcetti is also a supporter of the transition to electric buses. He told L.A. Times, “We have two choices. We can wait for others, and follow, at the expense of residents’ health – or lead and innovate, and reduce emissions as quickly as possible”. He adds, “I’d much rather do the latter”. While the world’s biggest cities are steamrolling ahead with electric buses, sadly Australia is lagging. There are positives. Many cities are introducing trials with e-transit technology. The South Australian government made $2 million available for investments in electric buses. Moreover, the city of Perth has led the way toward electric and automated vehicles. The good news is that there are apparently “plans to roll them out across the country”, according to one report. But, as of yet, unfortunately, this has not materialised. Now you know how e-transit is going to drive us forward towards the green future. As the world’s cities continue to transition to electric vehicles and e transit, Australia lags in the slow lane. If you want to discover more about the benefits of electric vehicles, check out our blog here.